Hertz, the No. 1 car rental company, offers YOU, passengers of Aegean Airlines and Olympic Air, discount rates and rewards you with bonus miles, for car rentals all over the world. The only excuse not to rent a car from HERTZ is not having a driving license. Book the car you need, fast and safe, and enjoy exclusive benefits in over 8,500 locations in 146 countries around the world! PREFERENTIAL RATES FOR AEGEAN AIRLINES & OLYMPIC AIR PASSENGERS! 2) Through Hertz’s collaborating microsites with Aegean and Olympic Air, by filling in your flight booking code or card number Miles + Bonus.. WIN UP TO 1,500 BONUS MILES! Moreover, members of the Miles+Bonus loyalty program can get up 1,500 bonus miles, by making a car reservations through Aegean or Olympic Air, for selected destinations. Miles will be credited on each member’s account two weeks after completing the rental. Bonus miles can be redeemed (do not count as an upgrade). 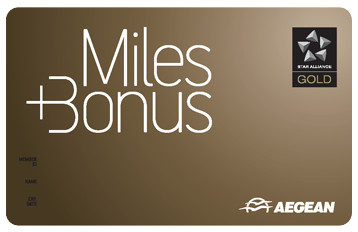 Miles+Bonus Gold members are entitled to a vehicle class upgrade by showing their card at the pick-up location and provided vehicles are available. You can redeem award miles on free car rental in Greece, Cyprus, Bulgaria, Serbia, Romania, and Ukraine simply by calling the Aegean Airlines Reservation Department (801 11 20000 ή +30 210 6261000). If there are requests that include both seasons, the highest miles rule will apply. • 100 km for one (1) day. • Free km for 3 up to 7 days. *Preferential car rental prices from Hertz are valid for the period beginning with the booking date and up to 30 days after the date of the last flight on the booking..